Counselling is sometimes called a ‘talking therapy.’ It provides a safe and confidential space, especially for young people and teenagers to talk about concerns; feel listened to; respected, understood and to not feel judged. Michael Tichelar Counselling Bath may help you to deal or cope with difficult and strong emotions and situations in your personal life, at work, or school or college. uses a variety of methods based on my training as a counsellor and psychotherapist and my interests. I am very influenced by the person-centred approach of Carl Rodgers, with his emphasis on empathy, congruence and unconditional positive regard. The needs of the client always come first. I can use talking as my primary approach, but I can also use art and play in order to help get in touch with feelings not able to be described by words alone. My service is particularly relevant for young people and teenagers, but adults are also welcome. The counselling relationship is strictly confidential. I would not talk to anyone else about what happens in counselling without the permission of the client. 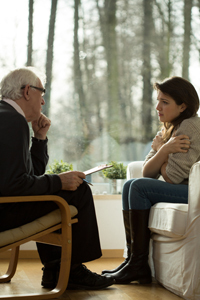 If during counselling it becomes clear that you or somebody else might be being hurt or abused in some way, or if there is a risk of this happening, or a serious crime is or is about to be committed, I will need to talk to you about my responsibility to report this. I follow the code of ethics of my registered professional association the British Association of Counselling and Psychotherapy (BACP), including their complaints policy and procedure (www.bacp.co.uk ; 01455-883334). "I feel really heard for the first time"
16 year old boy who had been bullied at school.